The second president of Ukraine marked his 80th birthday on August 9. Much has been said and written about his role in Ukraine’s recent history by politicians, public figures, and media people. Whereas public opinion shows a realistic attitude, the political community apparently lacks it. 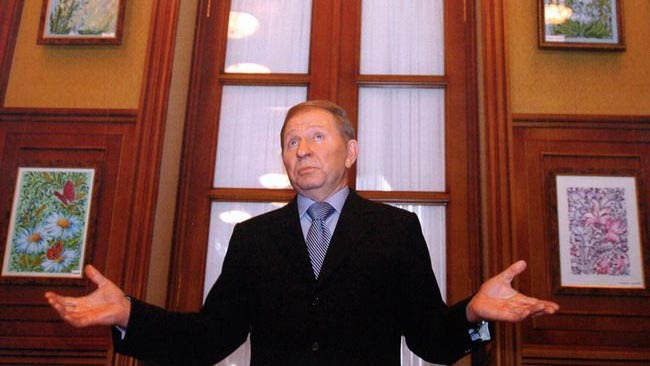 Roman Bezsmertnyi wrote on Facebook: “Leonid Kuchma’s first presidency was aimed at rescuing the economy, in the first place, and the second one was meant to rescue the state.” Most responses to his post proved negative. As the years passed, despite the herculean political, financial, and media efforts of the Kuchma-Pinchuk Family to whitewash the second president’s image, hiring authors to write books, filmmakers to produce documentaries, organizing projects and events like “Tomorrow.UA,” “New Leaders” or YES, there have been increasingly fewer illusions about Leonid Kuchma’s “merits.” The results of our poll, carried by Den/The Day, are quite informative. The question was “How should Ukrainians feel about the second president’s anniversary of birth?” Greetings were extended by 19 percent of respondents; 5 percent scorned it (“The man doesn’t deserve being mentioned…”); 15 percent wrote that the Kuchma regime [aka Kuchmism. – Ed.] is a lesson worth being learned and that no one should cast a ballot for a single Kuchmist; 34 percent believed he should be in jail; 14 percent wrote it’s high time the servility-to-success tradition were broken; 13 percent didn’t care one way or another. Why such political shortsightedness? First, because some remain in the dark. They stand a chance of correcting their eyesight by using a vast data resource pertaining to Leonid Kuchma’s career. All they have to do is dig deeper, look up sources (books, media reports, etc.) other than those made to the Family’s order. Second, because some are just pretending not to understand. This is a far worse scenario as such pretenders are playing into the hands of dark forces, de facto turning traitor to their Fatherland, telling lies to society and replacing truth with propaganda. This is unacceptable. How can such politicians run for president and conduct other activities without seeing the causal link between past actions and modern realities? In October 2004, prior to the presidential elections, Vladimir Putin met with Leonid Kuchma, whose [second] term was drawing to a close, and asked him directly whom Russia should back in the presidential campaign. The reply was as direct: Viktor Yanukovych. The Russian president told this addressing the Youth Forum Seliger-2014, ten years after the event. At the time, he wasn’t sure it was Leonid Kuchma’s final choice. He asked him again as final arrangements were being made for the presidential campaign. Leonid Kuchma replied that the issue had been resolved and the final decision made, adding that he would appreciate Russia’s assistance in terms of information and political resources. Russia complied.